Cowley Road Carnival 1 July 2018. 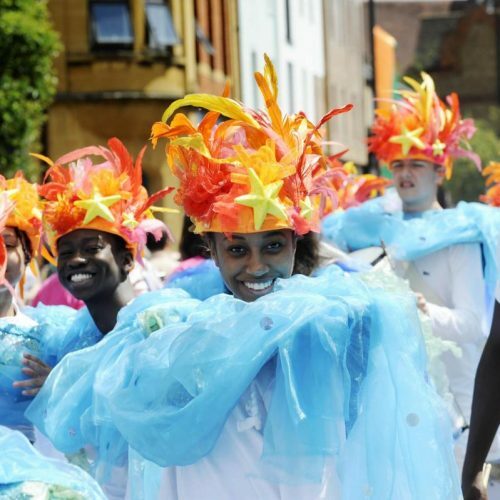 The theme for this years carnival is ‘Icons of Art‘; there will be amazing costumes, musicians, dancers and other groups joining the procession (starting at The Plain to Magdalen Road). As always, you will be spoilt for choice with the entertainment, so make sure you get there early to see as much as possible. “Music and song from all genres will play out from venues and stages along the length of the road, as well as adjacent areas such as the Tesco Car Park, Restore, and the Asian Cultural Centre. There will be pop-up performances, spoken word, drama and dance. Without doubt, something for everyone, whether you are 1 or 100! “Dance brings rhythm and colour to the Carnival festivities both in the procession and at venues around the festival site. 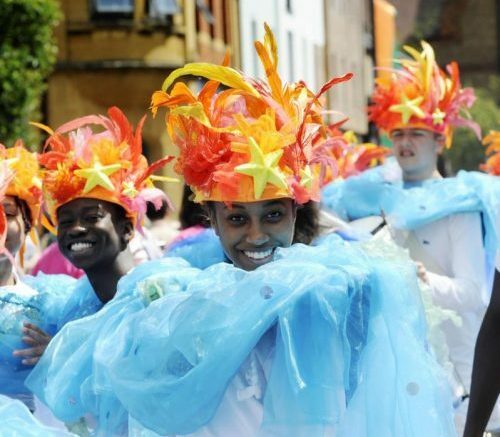 Find out more on the Cowley Road Carnival website.